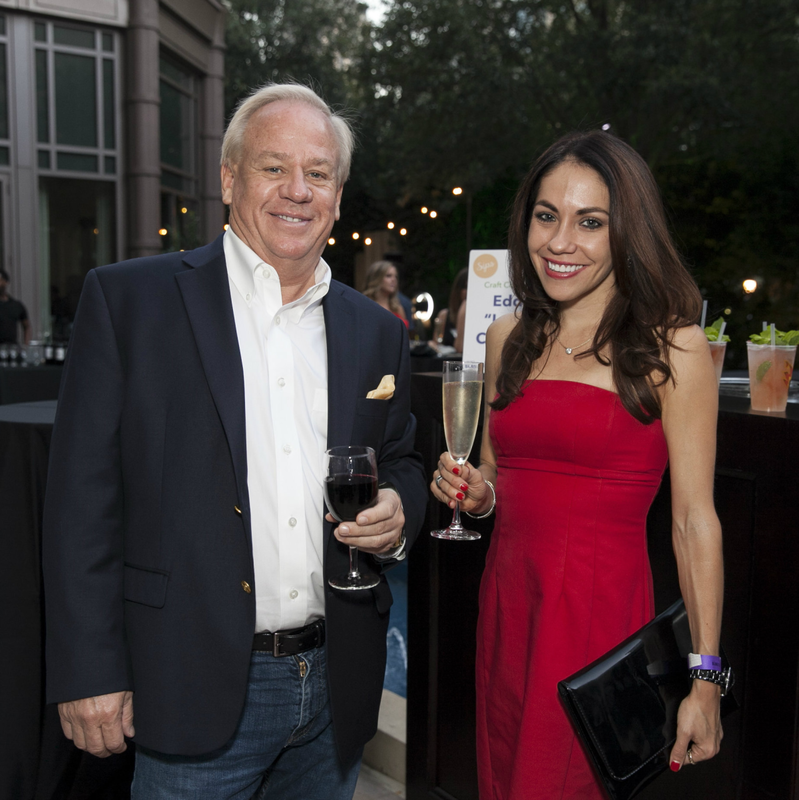 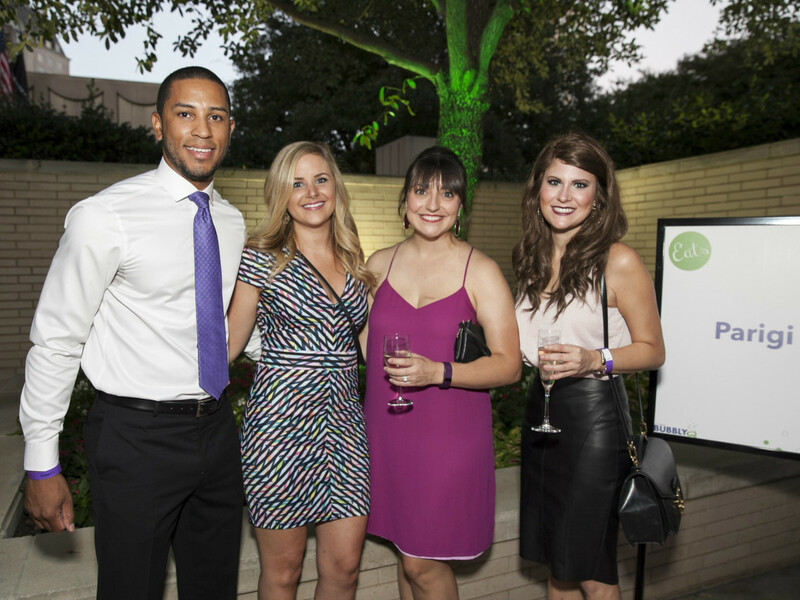 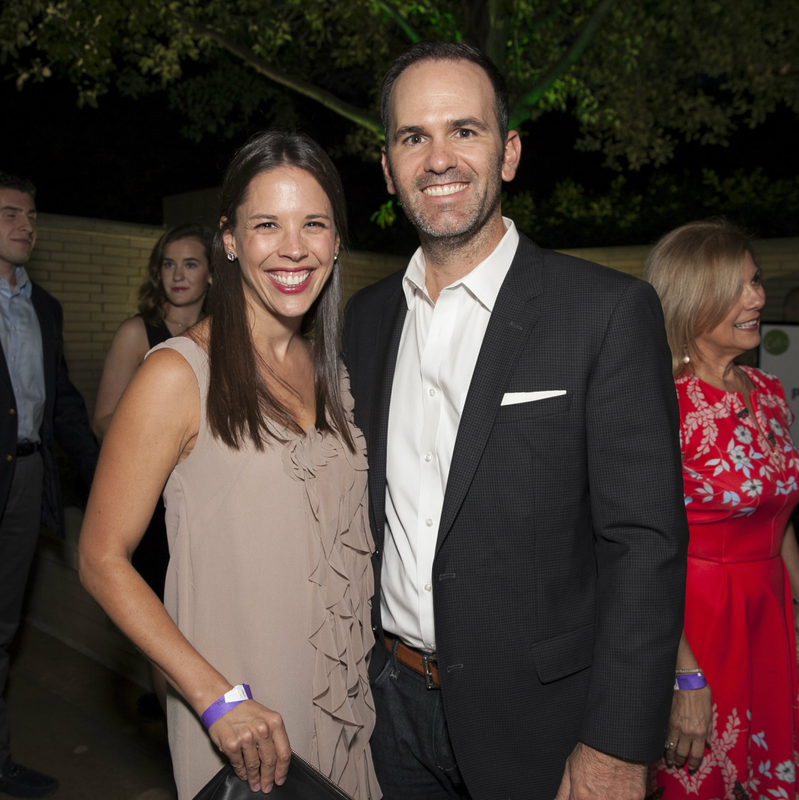 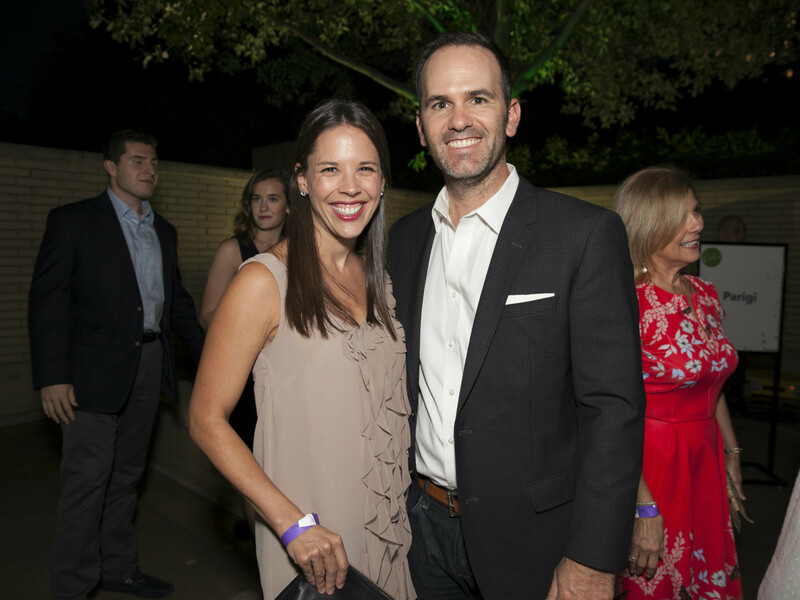 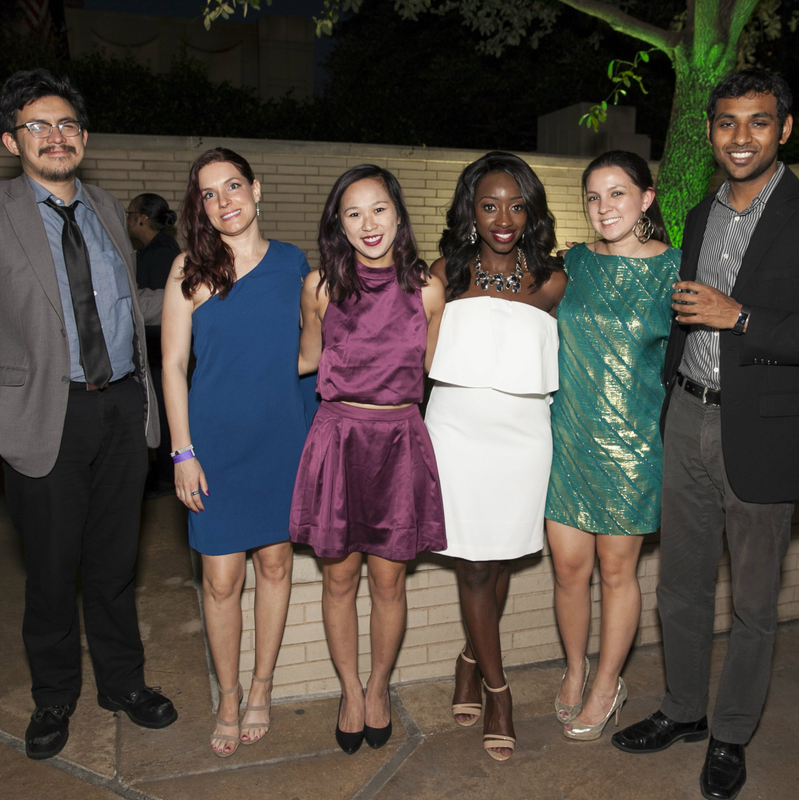 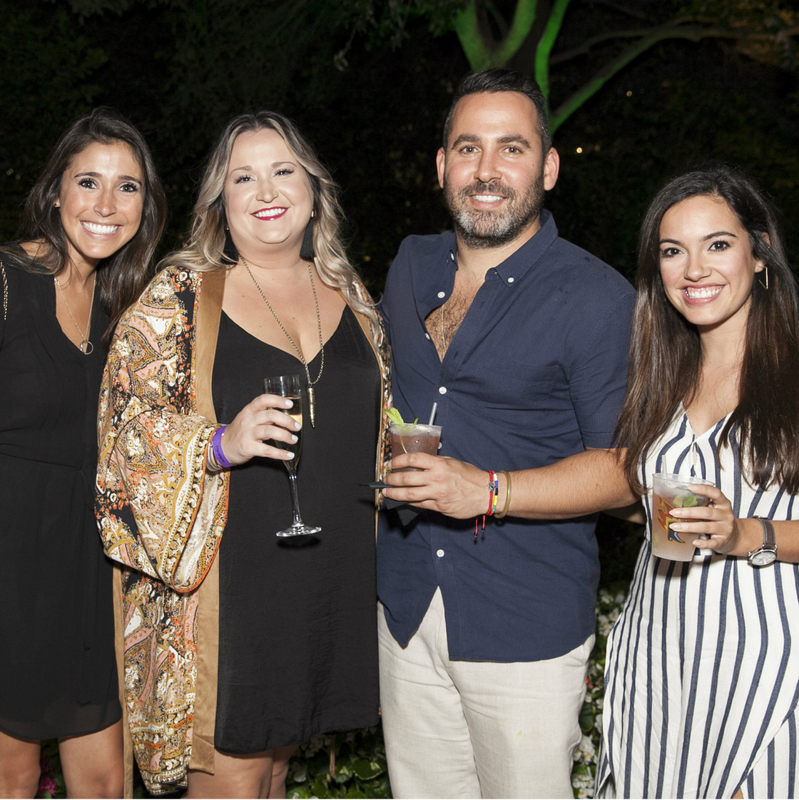 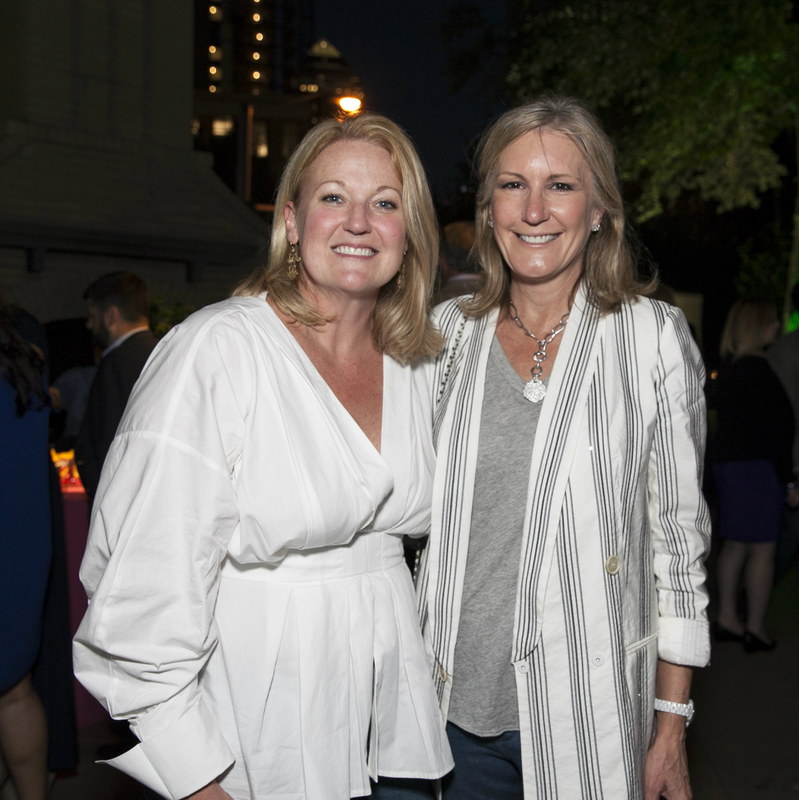 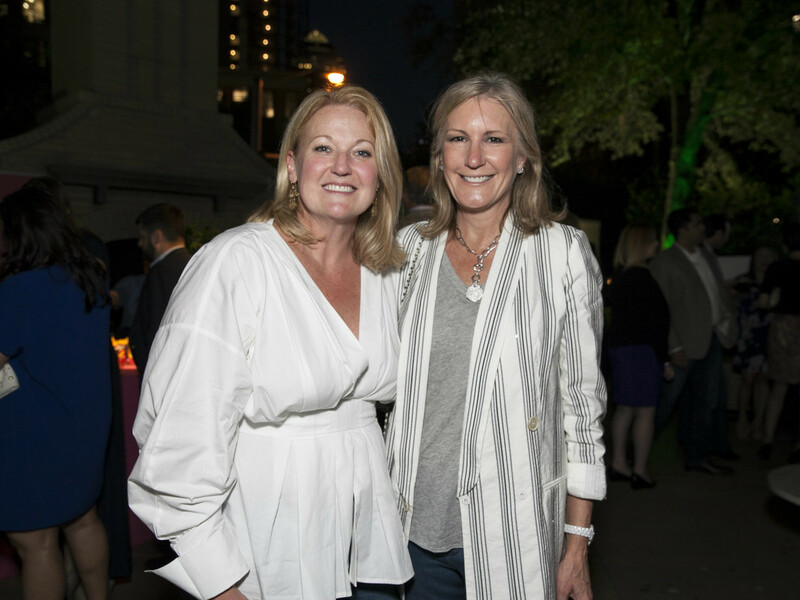 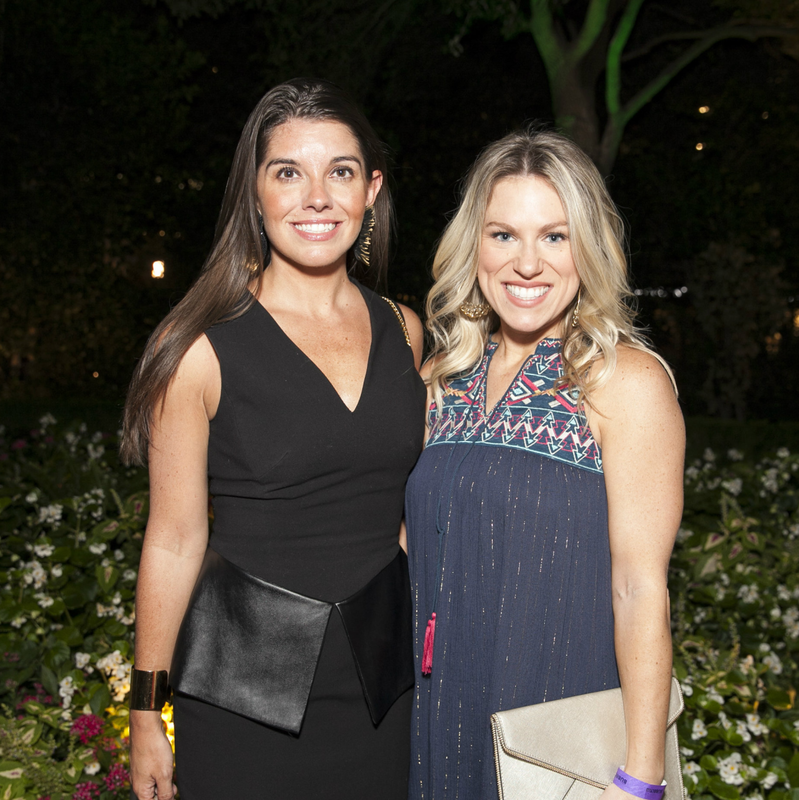 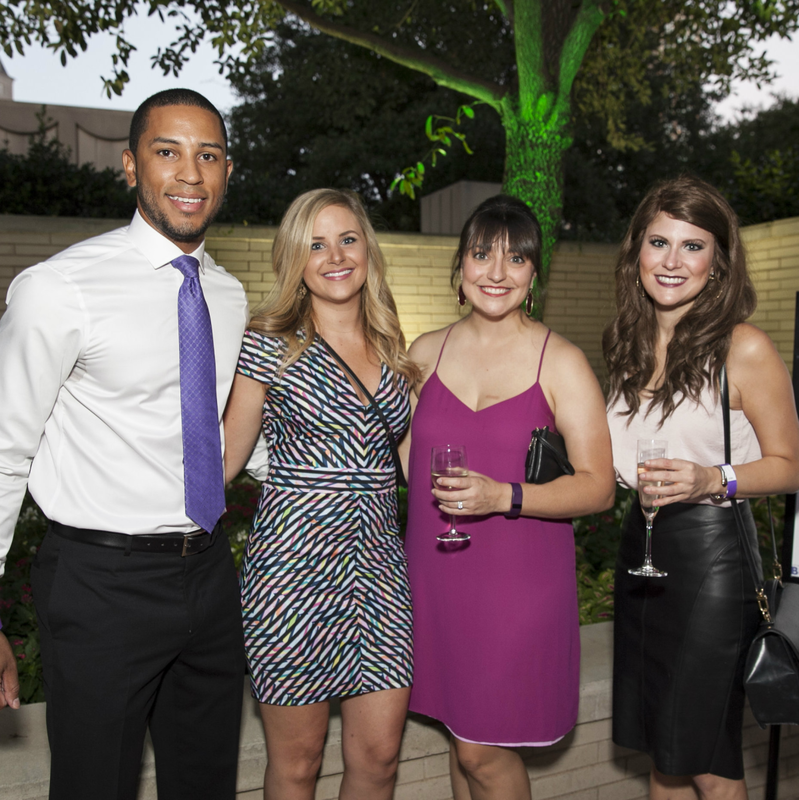 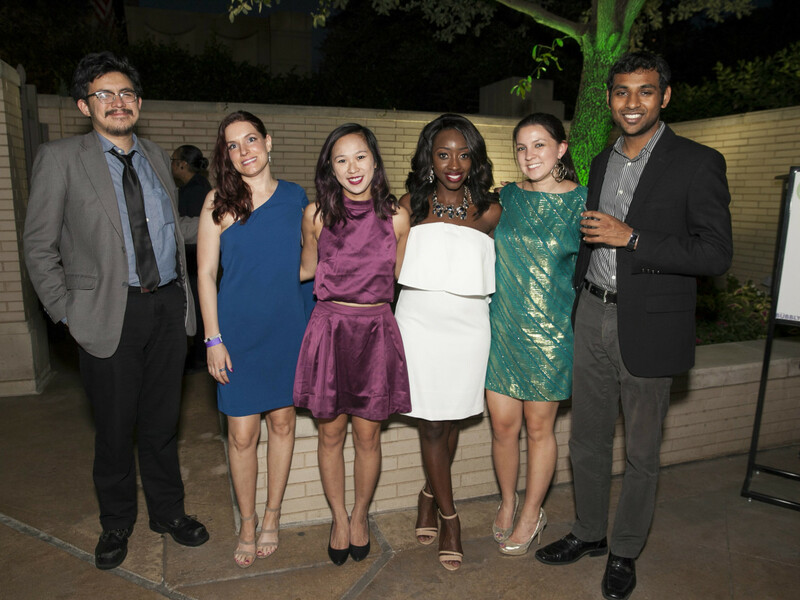 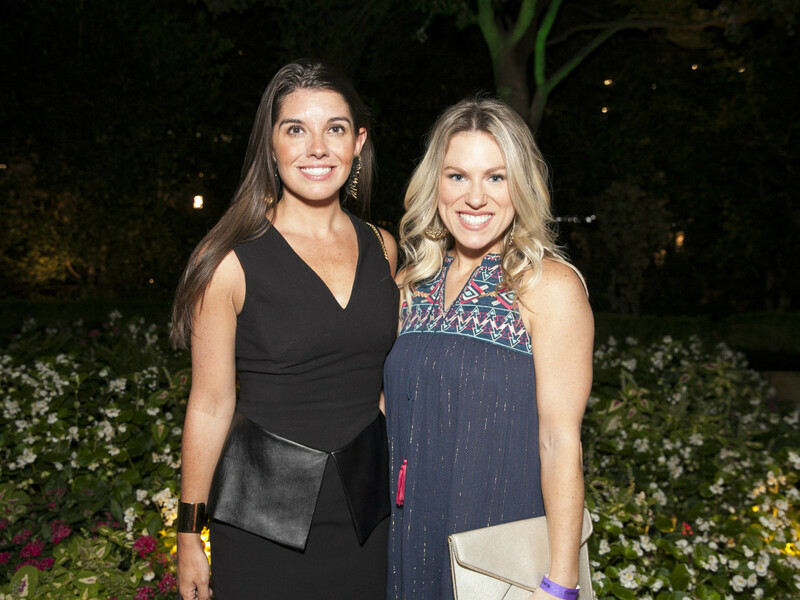 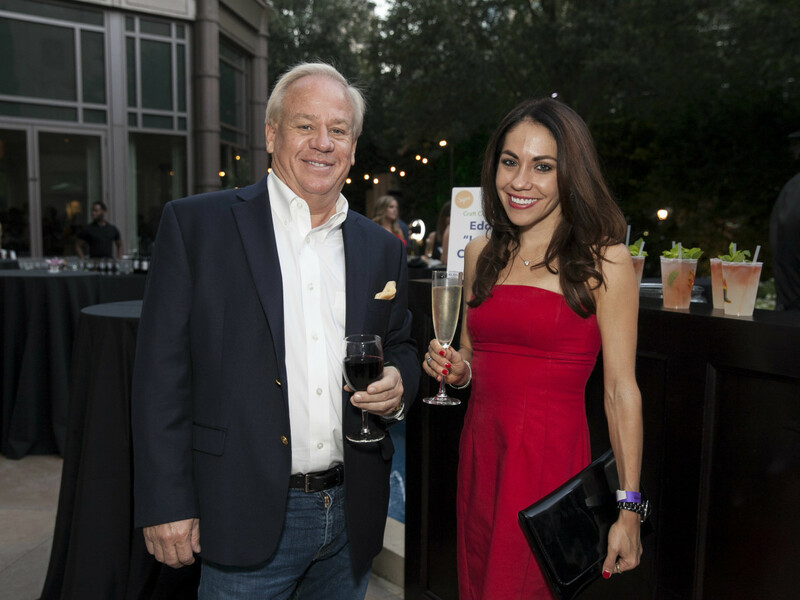 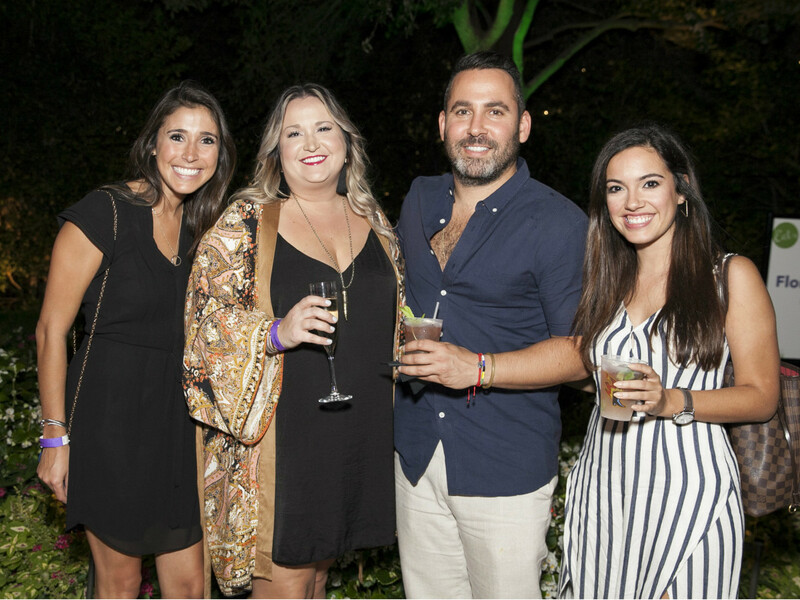 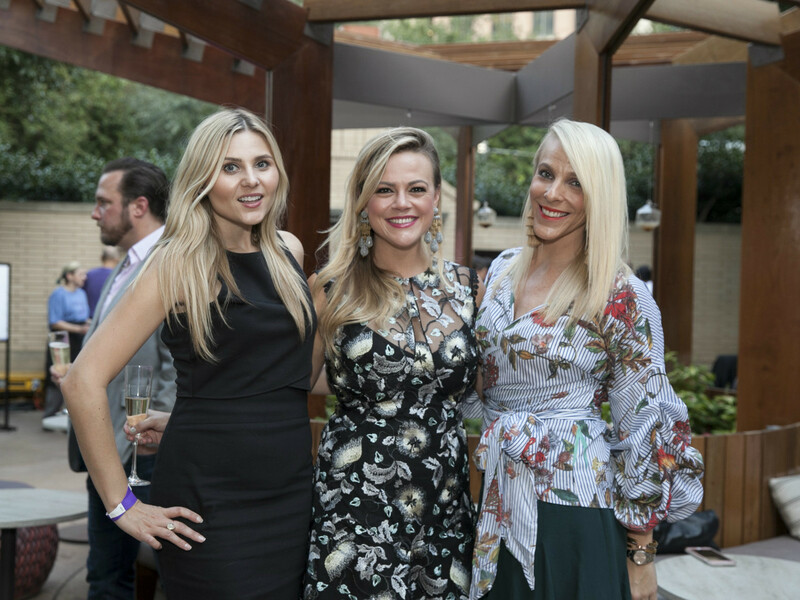 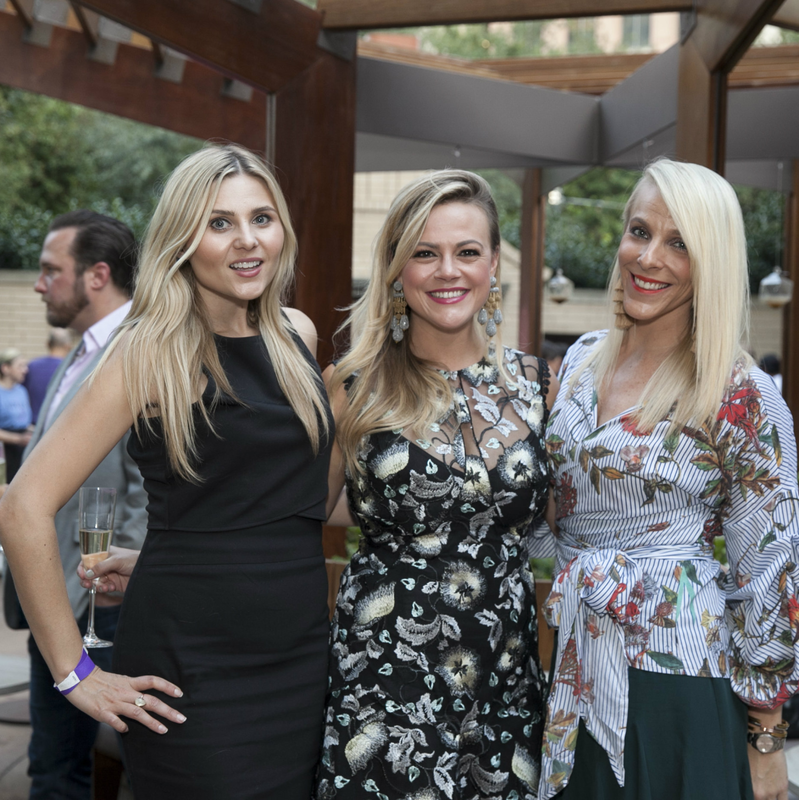 It's always wonderful when the weather cooperates for BubblyQ, because a clear night means that Young Texans Against Cancer's annual fundraiser is held on the pretty Fearing's patio at The Ritz-Carlton. 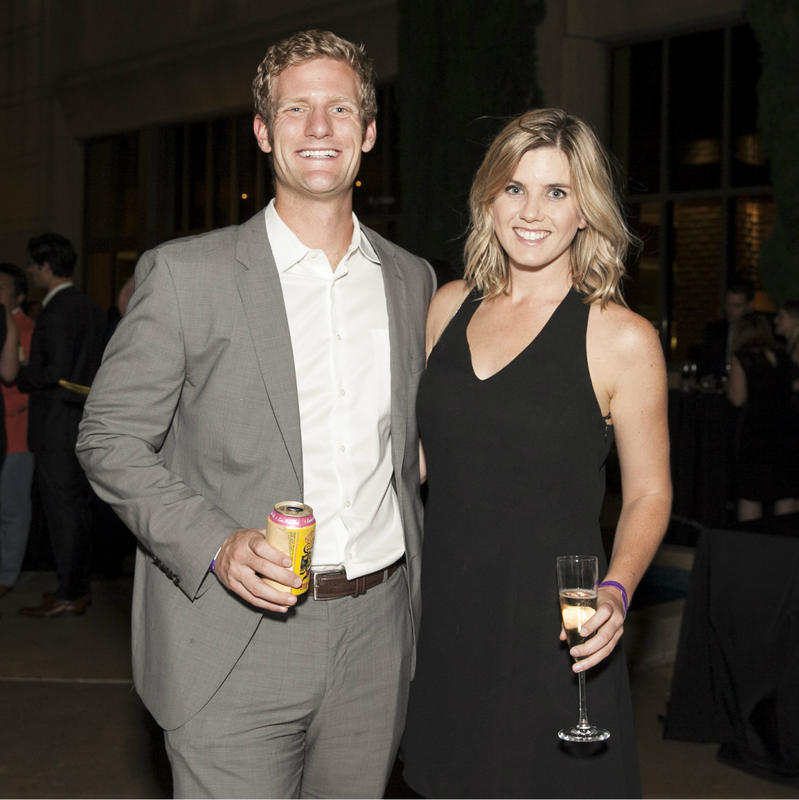 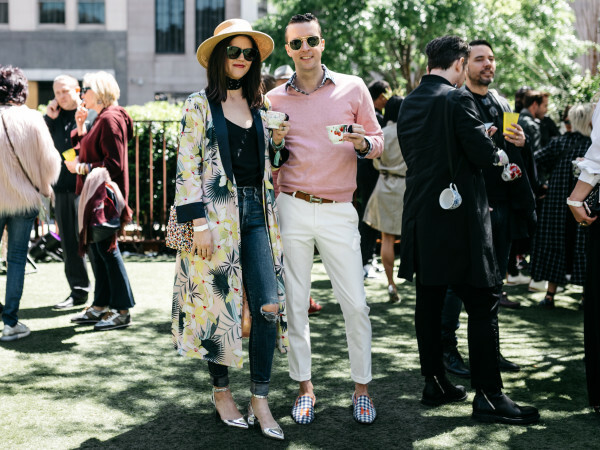 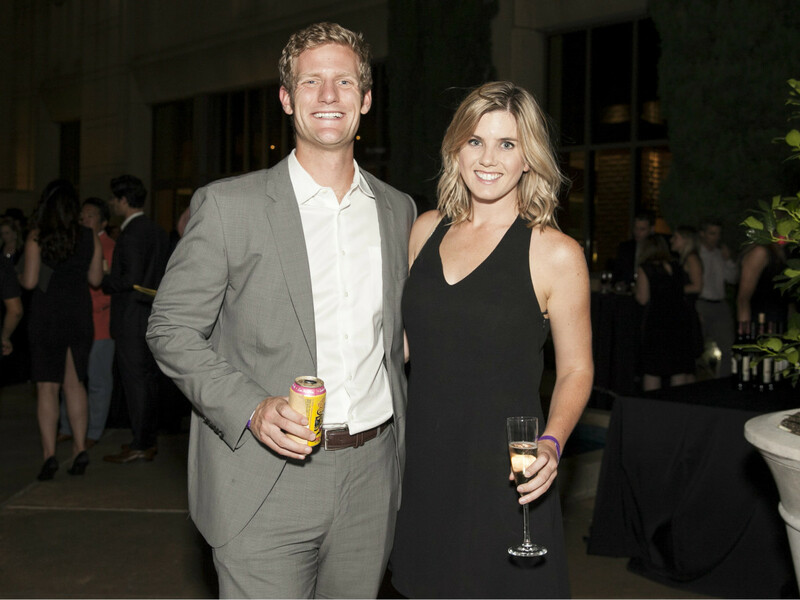 Charitable Dallasites have been raising a glass to this sparkling, must-attend event for a decade now, which has contributed more than $1 million to cancer support and research since its inception in 2008. 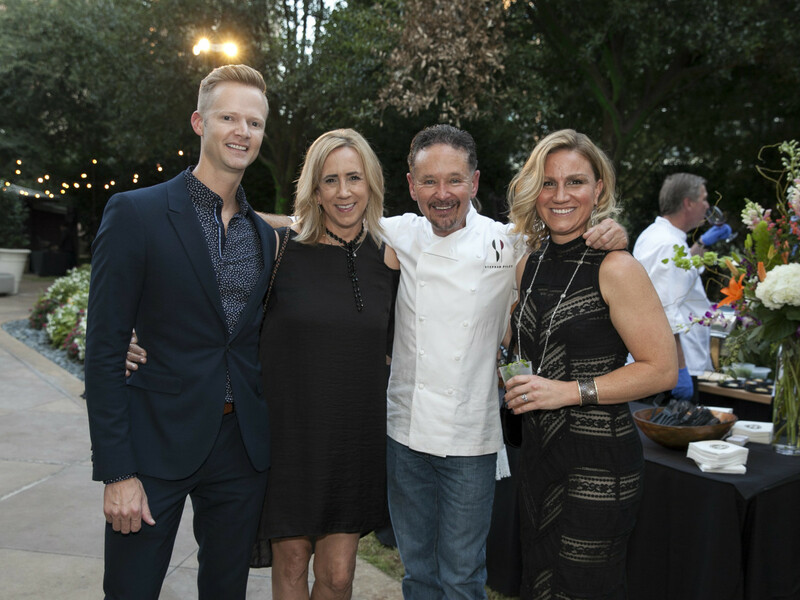 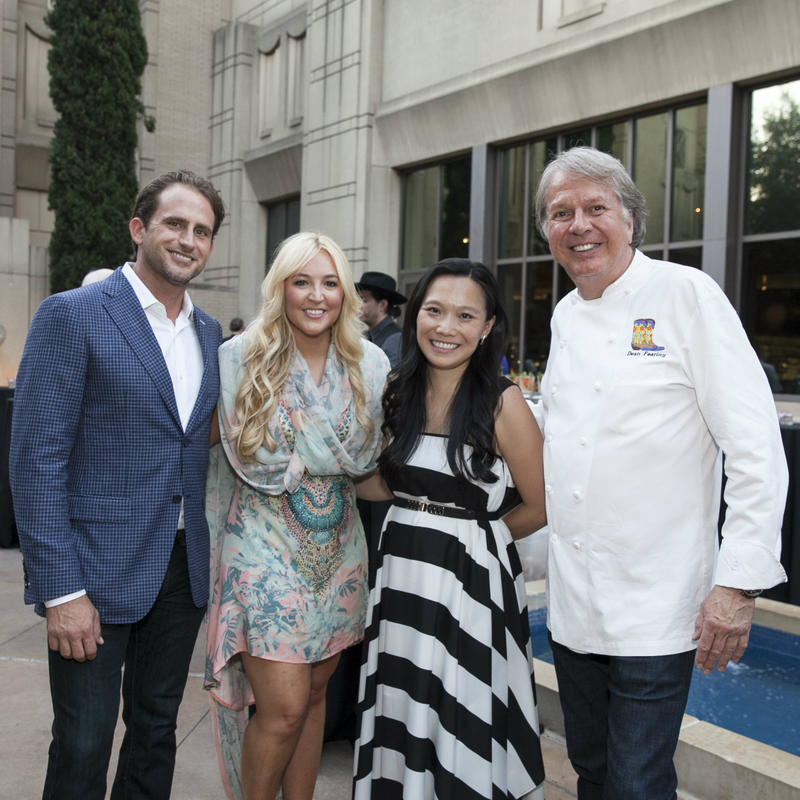 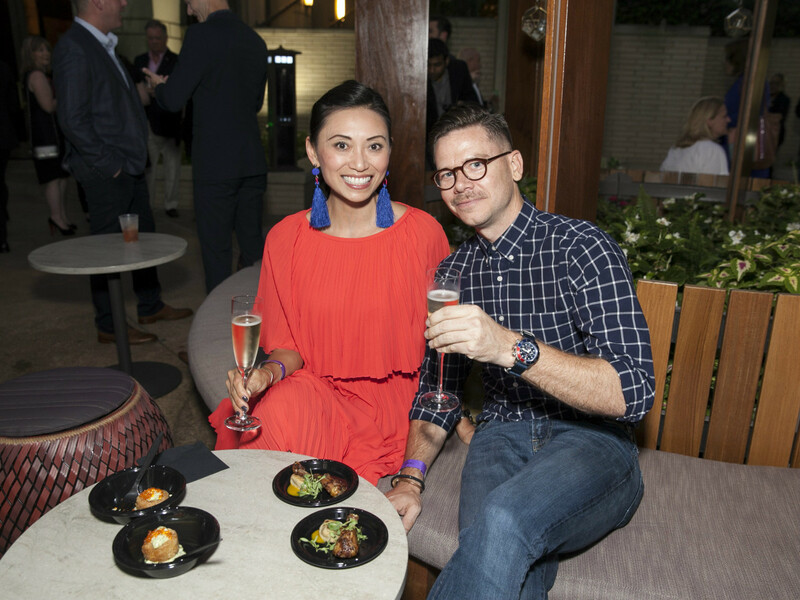 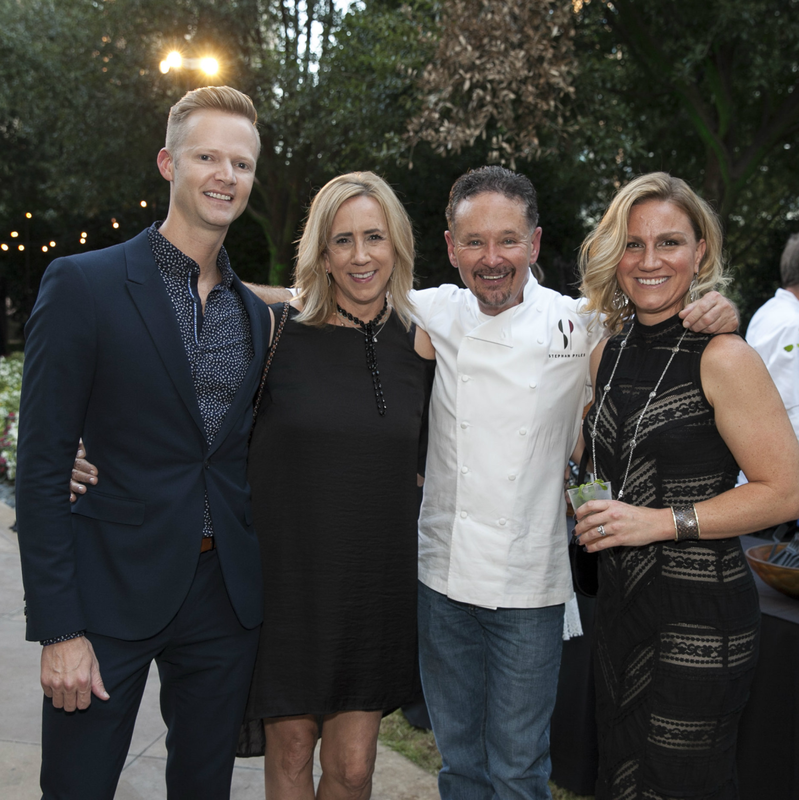 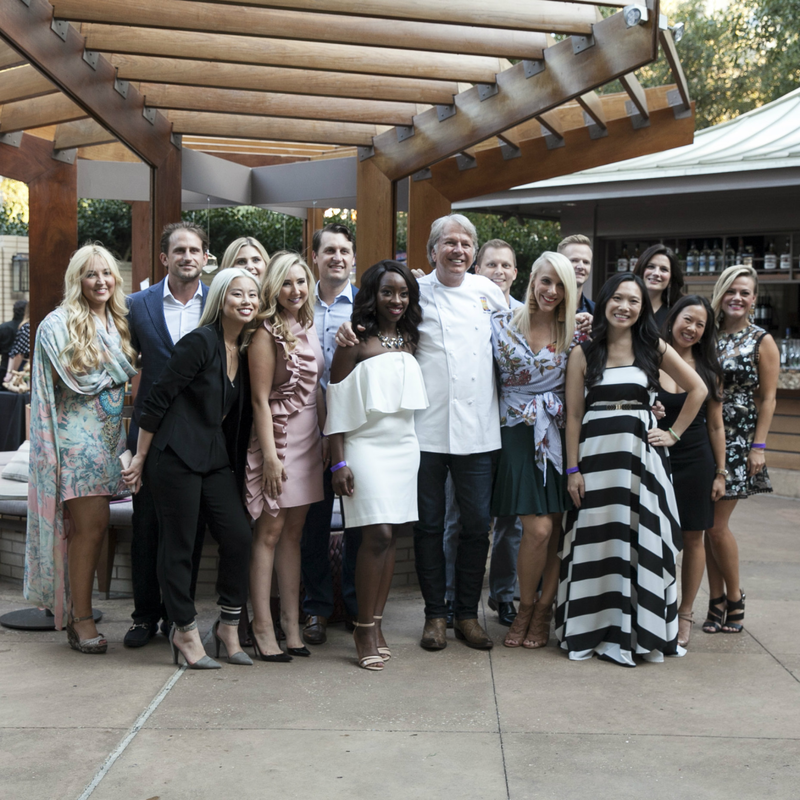 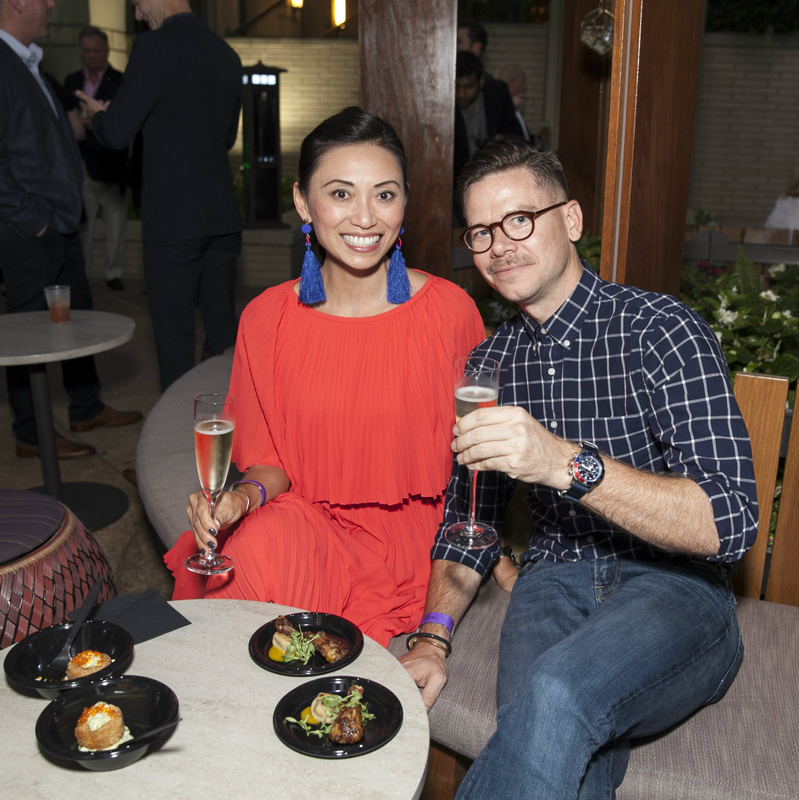 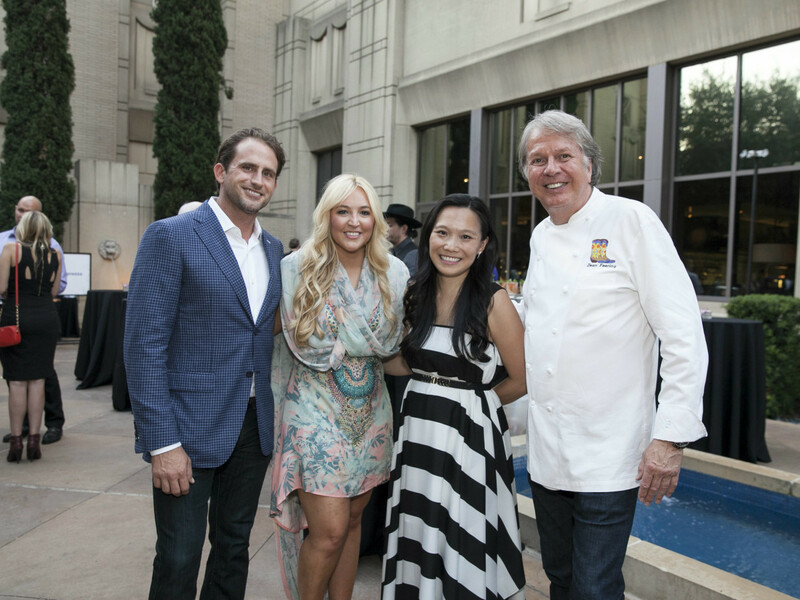 This year, BubblyQ chairs James Carroll and Vodi Cook joined chef chair Dean Fearing in welcoming the crowd, which was ready to drink, dance, and chow down on small plates from Le Bilboquet, Abacus, Parigi, 18th & Vine, Nobu, and, of course, Fearing’s. 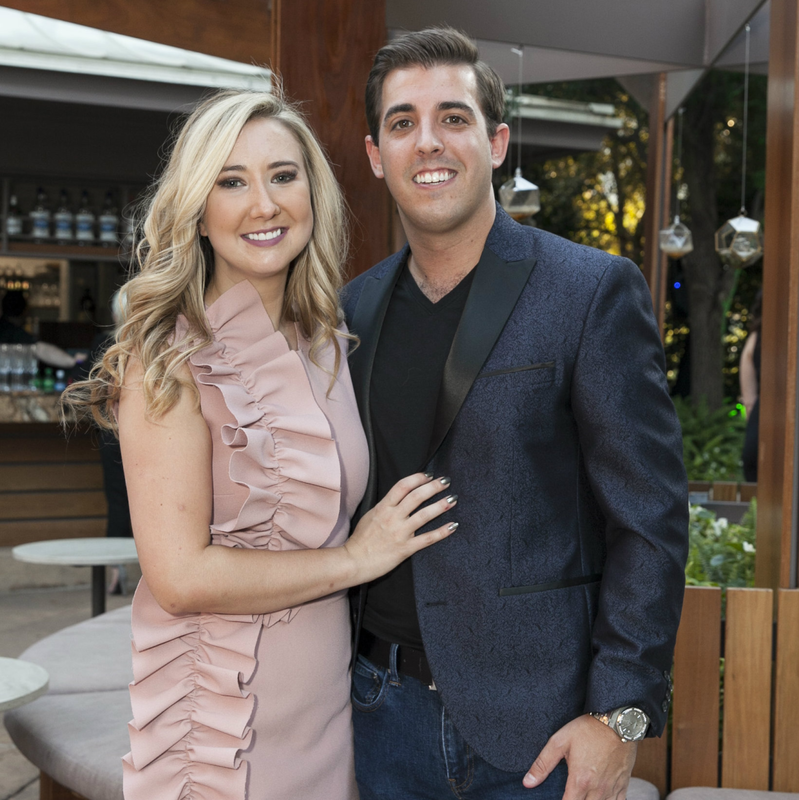 They were also ready to shop, with bids escalating quickly in the silent auction and adventurous gem-lovers buying mystery pieces from the Kendra Scott jewelry pull. 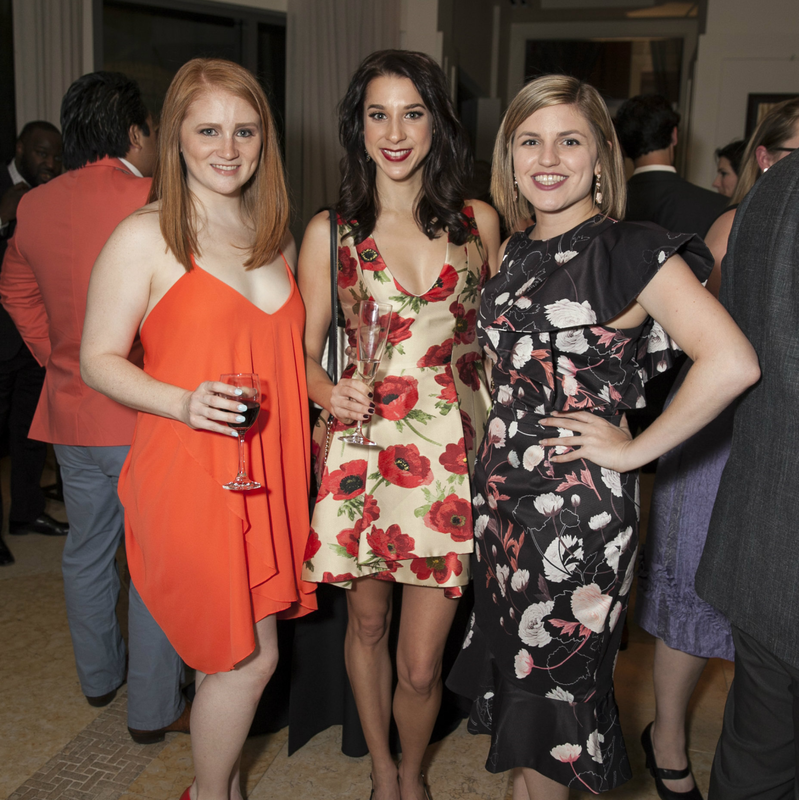 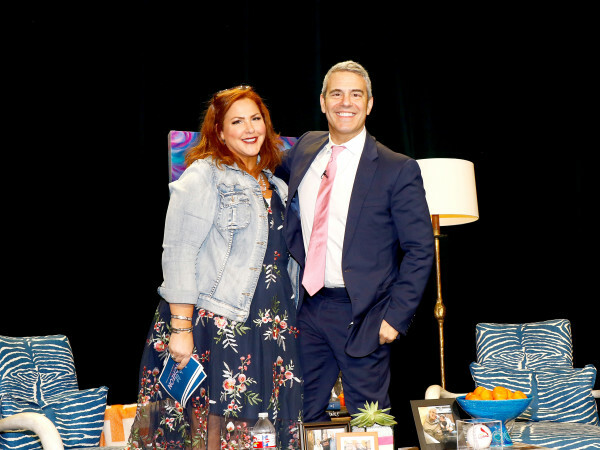 Hot-ticket auction items included beauty treatments, sports tickets, travel getaways, and a bourbon tasting for 20. 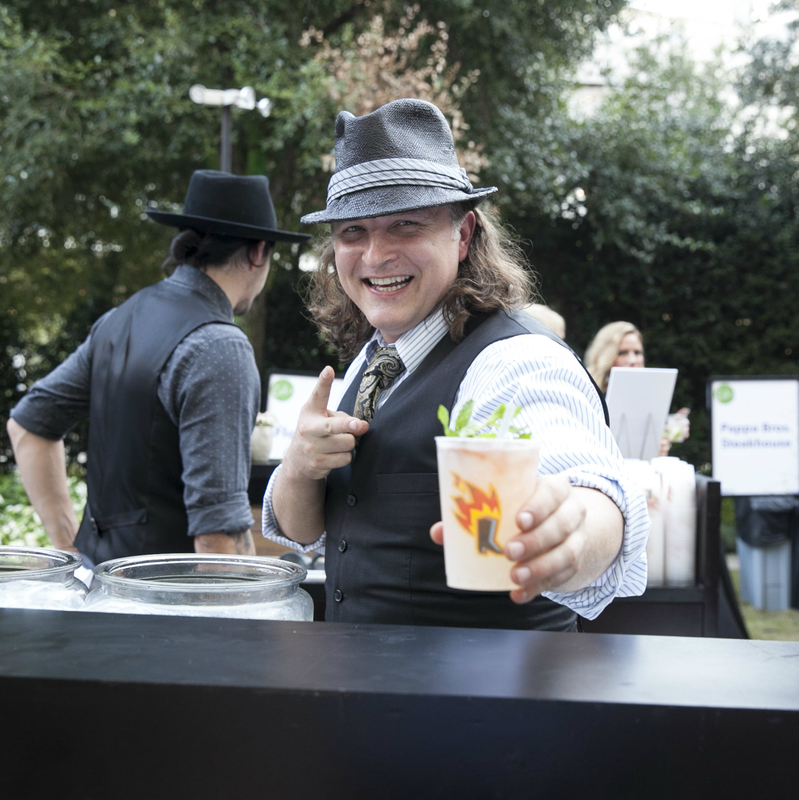 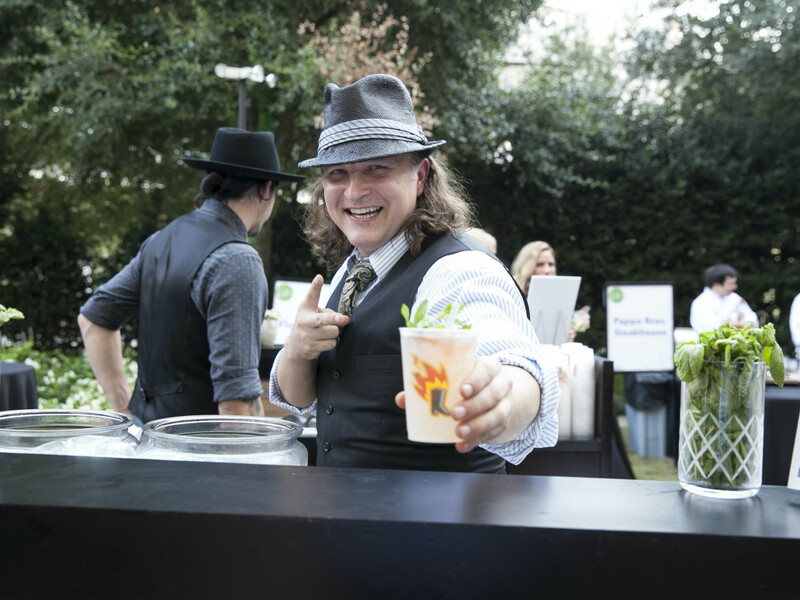 Bartender Eddie "Lucky" Campbell was more than willing to help everyone loosen their purse strings by pouring old fashioneds and Moscow Mules with a bubbly twist, and several bars stocked with Champagne, beer, and wine encouraged guests to feel generous. 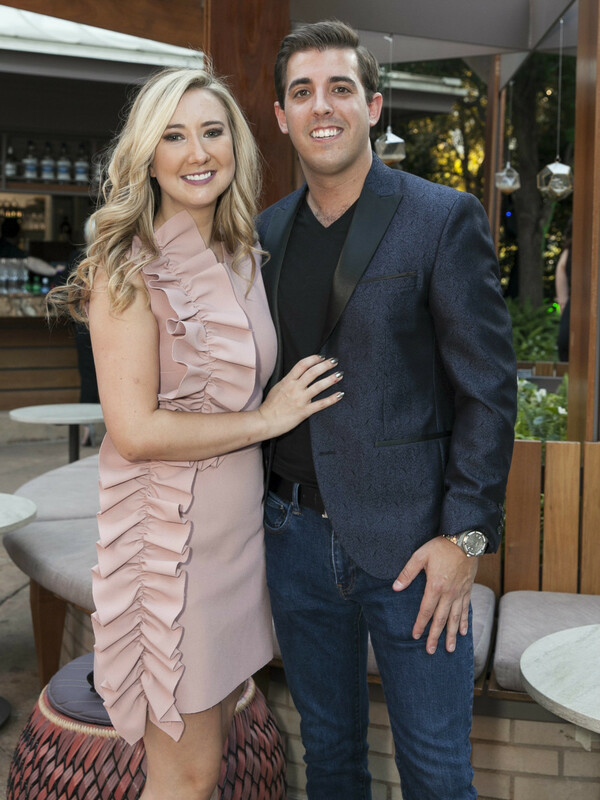 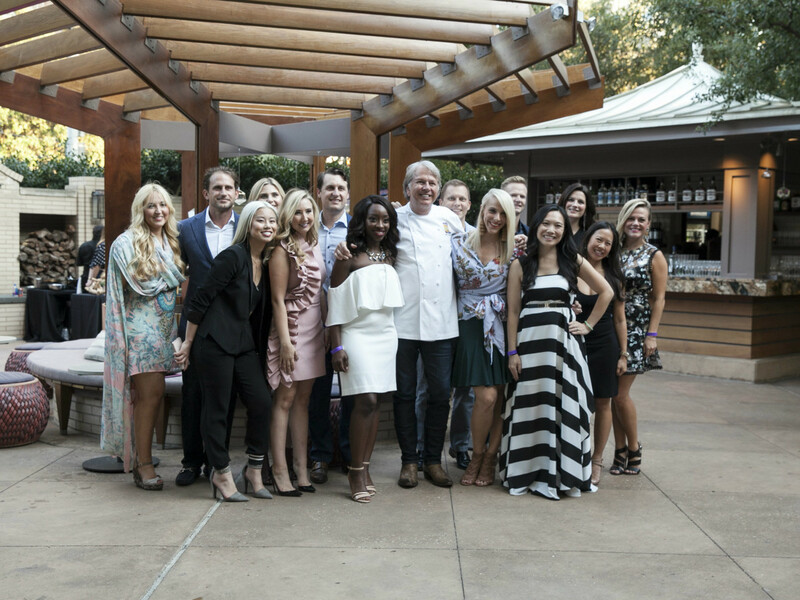 While perusing the auction items, attendees — who included Patricia Ridenour, Erica Stuart, Olivia Utley, Jonathan Rosenberg, Lizzy Caldwell, Corbin Heizer, Bianca Beran, and chef Stephan Pyles​ — got their dessert fix with sweets from Sugarfina, liquid nitrogen-made sorbet from Frost 321, and gourmet cotton candy from Cottonsmith. 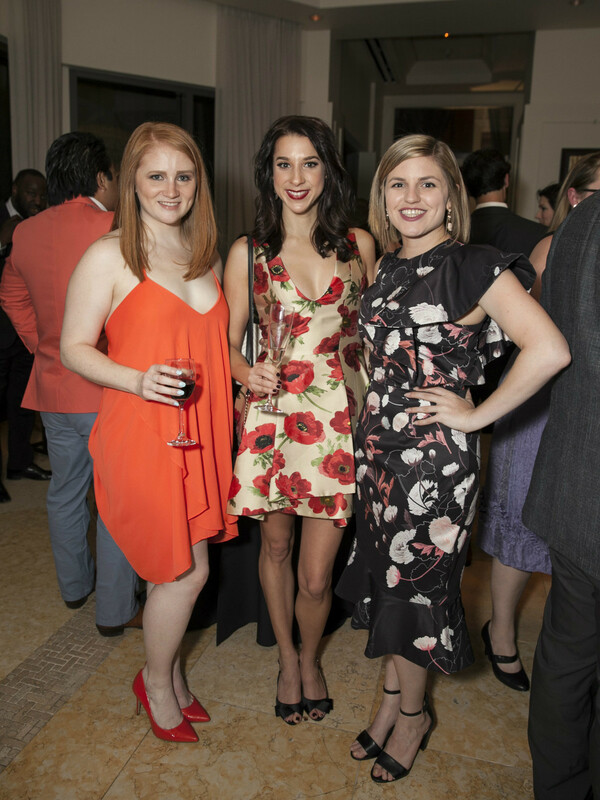 All money from YTAC's biggest fundraiser of the year goes to its beneficiaries, which for 2017 include 1 Million 4 Anna, DKMS, Mommies In Need, Carson Leslie Foundation, Hope Kids, Medical City — Camp iHope, Asian Breast Health Outreach Project, and UT Southwestern Medical Center.